The apartment is located in tower C - the most luxurious of the three towers in the project. 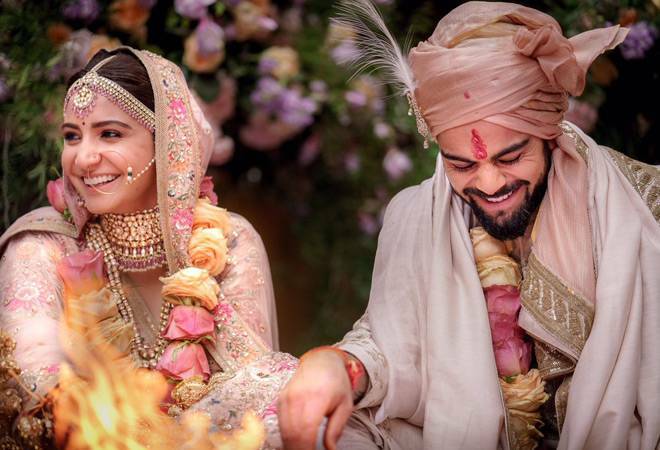 After days of speculation, when news of Anushka Sharma and Virat Kohli's Tuscan wedding was confirmed last evening, social media erupted in joy. The bride and groom looked straight out of a fairytale wedding in their Sabyasachi ensembles. Not only that, they appeared incredibly happy and shared the news themselves on social media. "Today we have promised each other to be bound in love forever. We are truly blessed to share the news with you. This beautiful day will be made more special with the love and support of our family of fans & well wishers. Thank you for being such an important part of our journey," their posts read. Like every other conjecture, there is perhaps one question everyone has been thinking - will Virat move to Mumbai or will Anushka move to Delhi. According to reports, it is mostly certain that Virat Kohli is moving to Mumbai to be with his lady love. The couple would be moving to a luxury home that Virat and Anushka bought in 2016 for Rs 34 crore. They bought the luxury pad in developers Omkar Realtors and Developers residential project Omkar '1973'. The 7,171-sq ft apartment is for Rs 34 crore and is sea-facing. The apartment is located in tower C - the most luxurious of the three towers in the project. Omkar Realtors' Worli project - '1973' - offers three cylindrical towers rising over 70 floors. The four-bedroom 'show' apartment has two key defining features - a ceiling height of 13 ft that gives a sense of large space, and decks or verandas extending from each bedroom that could be larger than the bedrooms. Viewing the lights of the city from over 200 metres in the sky or watching small dots that are ships off the west coast of the Indian Ocean can be exhilarating. Omkar's '1973' will have an indoor tennis court, a pet clinic for your favourite pooch, and a day-care centre for the kids. Yuvraj Singh also has a flat in the 29th floor of the same tower that he bought in 2013 for Rs 64 crore. When cricketers and film stars buy an apartment, it increases the value of the project. Once Virat Kohli bought this apartment, prospective buyers were demanding to be his neighbour, Amit Parsuramka, Omkar's Chief Marketing Officer said in an earlier report in Business Today. However, the cricketer had booked a 'refuge' floor that only has his apartment on the floor. However, before moving in the couple is throwing a reception in New Delhi and one in Mumbai. Closer to New Year the couple will travel to South Africa, where Virat will prepare for the upcoming series. Anushka will resume work and join Shah Rukh Khan for their new Aanand L. Rai's movie.